After finding Zoe trying to stow away on the TARDIS, the Doctor used a device that could display his thought patterns on a monitor to show Zoe some of the dangers she might have to face if she chose to join them. Story-wise, this gave Zoe some agency in her choice to become a companion, something very few of the previous companions got to have. Production-wise, this allowed the producers to air a repeat of The Evil of the Daleks in the gap between The Wheel in Space, which closed out season five, and The Dominators, which opened season six. It had been almost a year since the Daleks had last been on the show and there seemed to be a lot of effort going on behind the scenes to find a replacement adversary that could capture the public's attention. 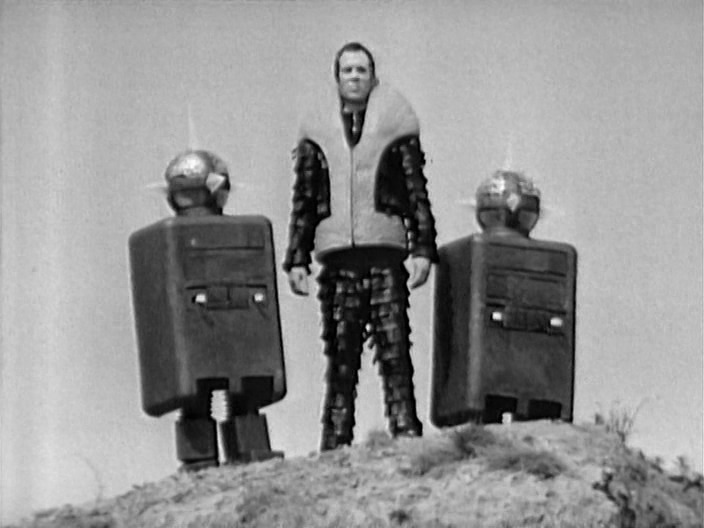 The Quarks, the robot henchmen of the Dominators, were one such attempt to create the next Daleks. Needless to say, they did not catch on. And while that is evident to us now, apparently both the writers and the show's producers thought that they had hit pay dirt. Each side tried to claim ownership over the Quarks and attempted to launch product lines and advertising campaigns using their image. 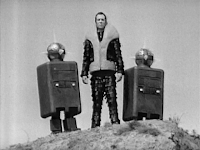 The battle for the Quarks, who would not go on to become popular characters whatsoever, got so heated that the episode order for The Dominators was cut from six episodes to five at the last minute and the writers were told that they would never work for the series again, and they didn't.